Giro’s Women’s Candela II Winter Glove features a 3-layer soft shell outer membrane, AX Suede throughout the palm, and an X-static bacteriostatic, fleecy lining for impressive protection from near freezing temperatures, water, and wind. For long-lasting comfort, this glove is equipped with 3mm of EVA padding, effectively dispersing pressure and reducing hand fatigue. The palm, fingers, and padding feature Giro’s Super Fit construction - careful tailoring that reduces bunching, enhances bar feel, and optimizes cushioning. Reflective detailing increases the rider’s visibility in low light conditions. Materials: AX Suede, X-Static Fiber, EVA padding, Clarino synthetic leather. 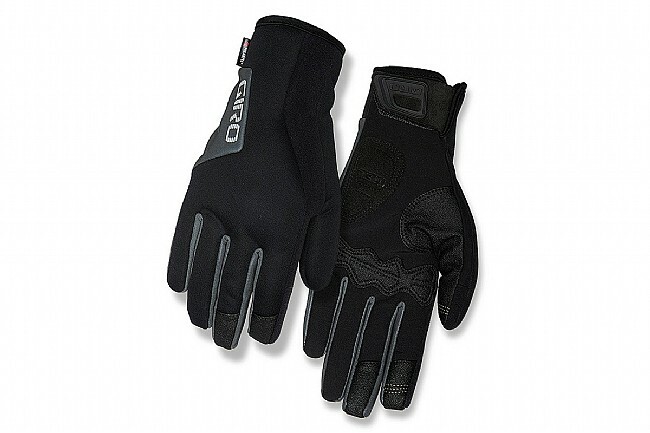 Length 0" 6"-6.3" 6.3"-6.7" 6.7"-7" 0" 0"
Palm Circumference 0" 6½"-7¼" 7¼"-8" 8"-8¾" 0" 0"
These gloves are not as wary or wind proof as billed. These gloves are not as warm or wind proof as listed.